There’s a simple reason why so many proud Apple iPhone users rarely opt to switch – once you’ve experienced the super-intuitive, effortlessly useable iPhone interface it’s hard to contemplate returning to the alternatives. 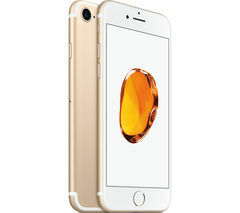 Simply put, Apple mobile phones are every bit as well-designed and pleasurable to live with as their hallowed reputation suggests. Apple has an uncanny knack for innovation that genuinely enhances the experience of using their smartphones. With each new Apple mobile phone, the introduction of new features and enhanced functionality feels natural and logical – not just for the sake of novelty. The latest iteration in the evolving iPhone family is the iPhone 7, another carefully considered and beautifully realised progression that showcases quietly significant new functionality without sacrificing the unmistakable look and feel of its predecessors. Apple has identified key aspects of the iPhone experience that could be upgraded to significantly enhance everyday performance and the resulting phone does precisely that, with all the stylishly realised design genius you’d expect from Apple. For one thing, the iPhone 7 offers a fully re-engineered camera, adding optical image stabilisation, an ƒ/1.8 aperture and a six-element lens to make it even better for shooting photos and videos in low light. 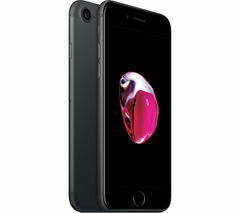 Alongside countless more vital enhancements, the addition of a vastly improved battery, significantly faster processing speed and a gloriously vivid new Retina HD display ensure that the latest evolutionary step in the Apple iPhone family tree is a significant leap forward. Take a closer look at all sim free phones in the extensive Currys collection to compare handsets from a host of leading brands. Our huge range includes the latest Sony, Pixel, Microsoft and Samsung mobiles.